A small town can be a refuge, but while its secrets are held, it's hard to know who to trust and what to believe. Terry Pritchard, assistant principal at Brindle Public School, watches his career collapse. Nina Foreman, a new teacher, struggles with the breakdown of her marriage and a new classroom. Rebecca Chuma is also new to Brindle: the locals are curious - what's she doing there and why can't she return home. By contrast, Joan Mather has lived in Brindle all her life. Since the death of her elderly mother, however, she's been finding it hard to leave the house. 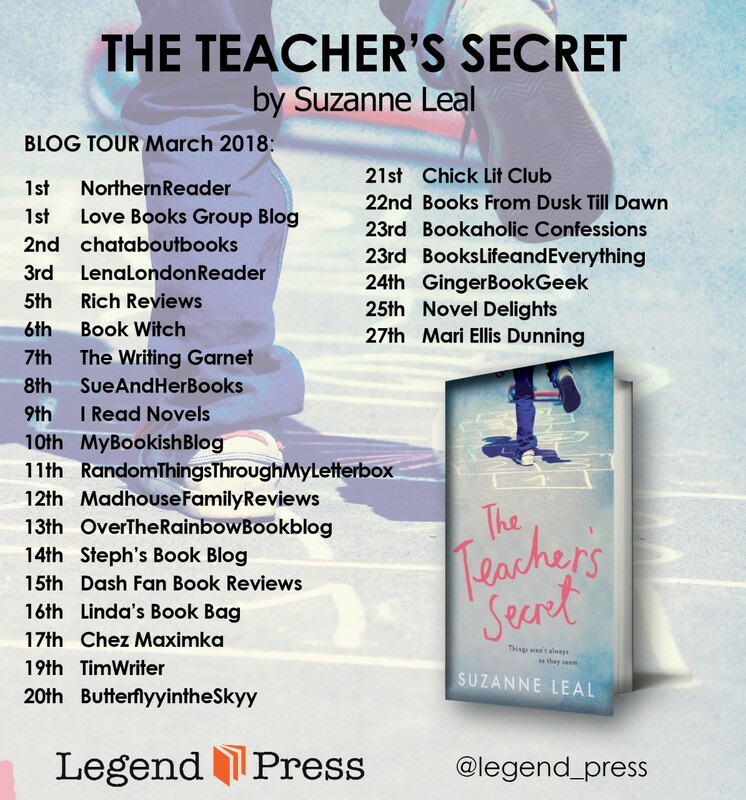 The Teacher's Secret by Suzanne Leal was published in paperback by Legend Press on 1 March 2018, my thanks to the publisher who sent my copy for review and who invited me to take part in this Blog Tour. I've been a huge fan of Legend Press for many years, their books are beautifully presented and I'm rarely disappointed by their authors. 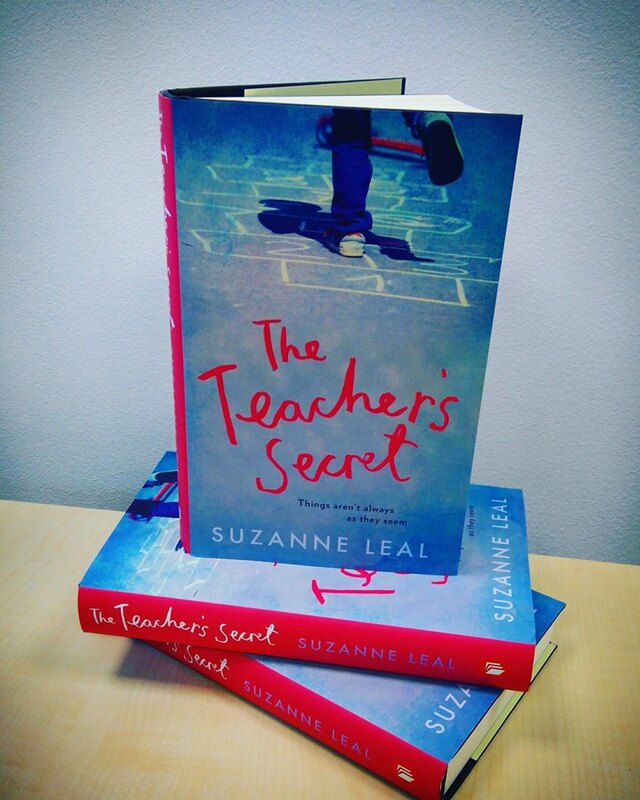 The Teacher's Secret is another gem from Legend; a story that quietly creeps into the head of the reader. Set in Brindle Public School, a primary school in Australia and spanning four terms in the year, Suzanne Leal slowly builds her story. Chapters are not numbered, they are headed with character names and each one is told from the viewpoint of that character. I'll admit that there were times that I found it fairly difficult to remember just who was who, and did get a little frustrated as one character's story ended, and another began in the next chapter. On reflection though, this is a clever way to structure the story as it keeps the reader's interest, and I soon became immersed in the new character's point of view. Terry Pritchard is the lead character and he is the glue that sticks the story together. Terry is a much-loved teacher at Brindle Public School. Admired by his colleagues, loved by his pupils; he knows the school like the back of his hand. He has taught hundreds of children over the years, and he's now teaching the offspring of his former pupils. He's content and enjoys his job. The story begins on the first day of a new term, Terry is eager to get back to work, to find out what his pupils have done over the holidays and to return to what he loves doing. Brindle Public School has a relief Principal this term and this is where Terry's problems begin. It becomes clear that Laurie, the caretake Principal has her own ideas about how the school should be run, and they are very different to Terry's. Suzanne Leal's legal expertise in child protection and refugee law shines through in her writing. Her characters and the situations that are described are incredibly believable. 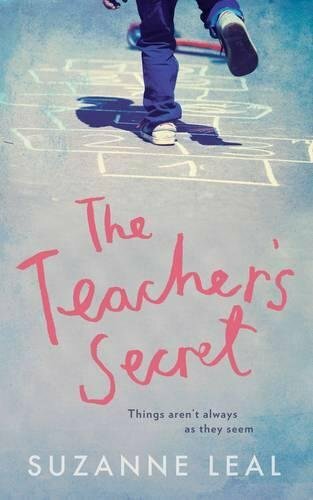 There are some serious issues dealt with in The Teacher's Secret, and whilst I was a huge fan of Terry, there were times when I could understand Laurie did some of the things that she did. This is not just Terry and Laurie's story though. There are supporting characters whose own stories are relayed throughout the book, interweaving with the main plot and adding layers to the story. I enjoyed The Teacher's Secret despite what really is quite a slow start. 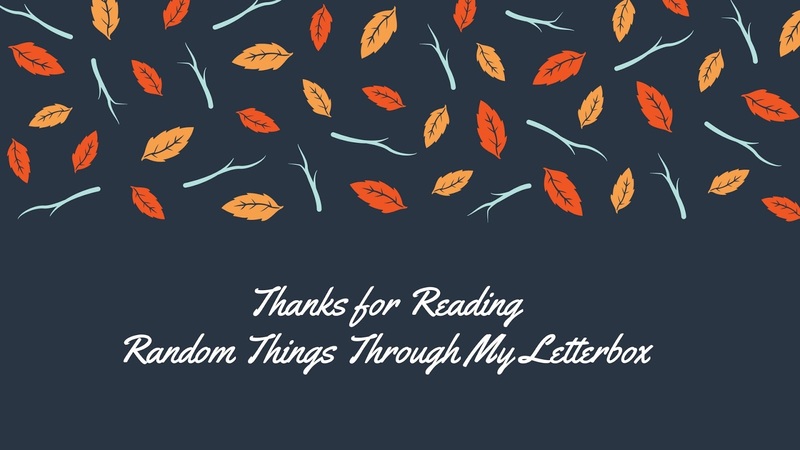 The multitude of characters do feel a little overwhelming at the beginning but this author's skilful writing soon allows the reader to settle nicely into her story. Suzanne Leal is a lawyer experienced in child protection, criminal law and refugee law. The Teacher's Secret is her first novel published in the UK following her well-received debut in Australia, Border Street. 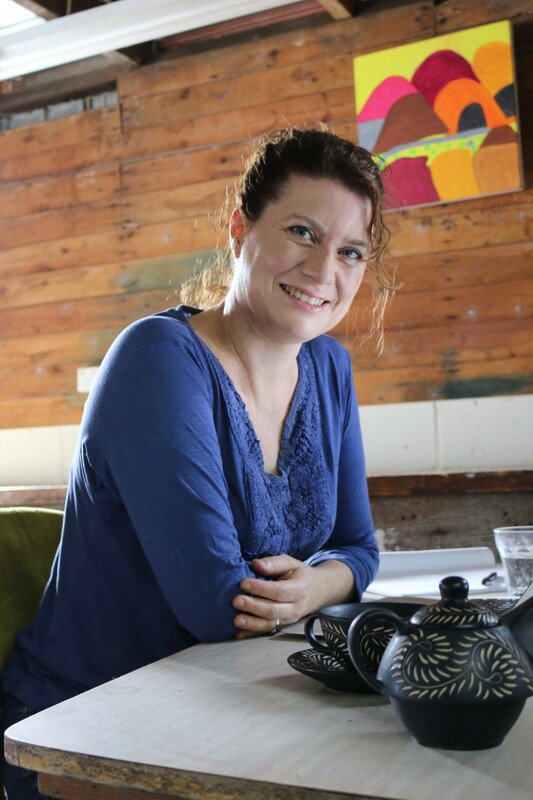 Suzanne lives in Sydney with her husband, David, and her four children, Alex, Dominic, Xavier and Miranda.